When you start a Citrix Session and open an explorer window the following message appears. 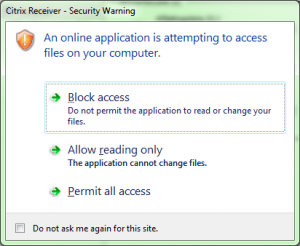 Citrix Receiver – Security Warning. 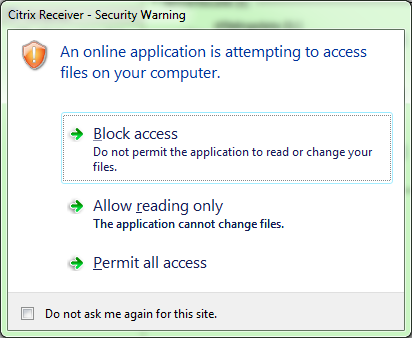 This message is caused by the Citrix Receiver. The Receiver is trying map the local drives and is trying to access them.